[page 64, 65] Though the potatoes have man with all his implements on their side, these rowdy and rampant weeds completely bury them, between the last hoeing and the digging. The potatoes hardly succeed with the utmost care: the weeds only ask to be let alone a little while. I judge that they have not got the rot. I sympathize with all this luxuriant growth of weeds. Such is the year. The weeds grow as if in sport and frolic. He was always in sport and frolic in the wilderness that surrounded Concord during the middle of the 19th Century. This was a time when the first telegraph wires had been within weeks run through the town even though there was no telegraph station there to send or receive messages. Undaunted, Thoreau listened to the messages humming through the telegraph wires like an aeolian harp. Wanting to be "left alone a little while," Thoreau was always searching for peace; he characterized his quest as one searching for berries to pick. [page 48] Do you know on what bushes a little peace, faith, and contentment grow? Go a-berrying early and late after them. Miss our friends! It is not easy to get rid of them. We shall miss our bodies shortly. Thoreau knew the wilderness like the oyster fisherman who knows the bottom along the shore so well that he can steer by taking soundings of depth with his pole. 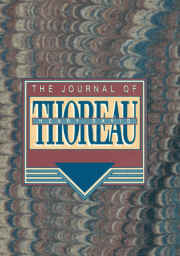 (page 51) Thoreau could go for a walk in the moonlight and reach down to pluck huckleberries by touch. (page 385) To go for a walk with Thoreau was to have a botanical guide along that could describe the common and botanical names of all the plants you encountered along the way. To read his journal is to walk with a living botanical guide, but one that, in addition to identifying and naming the flora and fauna, was full of wise sentences that spout out at any moment. Like his sentence about a delicate flower that grew between the horses' path and the wheel-track, "It did not borrow trouble nor invite and evil fate by apprehending it." Or this one, "The air is an element which our voices shake still further than our oars the water." Or this, "A man cannot sing falsehood or cowardice; he must sing truth and heroism to attune his voice to some instrument." Or this set, "Things do not change; we change. If I were confined to a corner in a garret all my days, like a spider, the world would be just as large to me while I had my thoughts." Or these two, "What does education often do? It makes a straight-cut ditch out of a free, meandering brook." and "You must walk like a camel, which is said to be the only beast which ruminates when it walks." 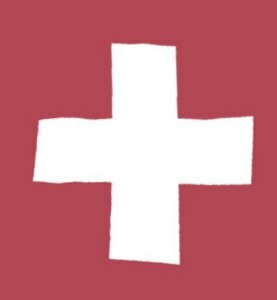 Or this one, sticking out by itself from the text around it, "It is healthy to be sick sometimes." Or, "It makes no odds at what well you drink, provided it is the wellhead." Or, "Obey the law which reveals, and not the law revealed." Or this familiar sounding sentiment, " We do not commonly live our life out and full; we live but a fraction of our life." And, finally, "May I love and revere myself above all the gods that men have ever invented. May I never let the vestal fire go out in my recesses." Thoreau not only ruminates when he walks, but he writes as well. During the spectacular overnight walk he took and recorded in the latter part of the book, he writes, on page 484, "It is yet so dark that I have dropped my pencil and cannot find it." He is quite fond of wild apples and writes lustily of them. [page 92, 93] Now is the time for wild apples. I pluck them as a wild fruit native to this quarter of the earth, fruit of old trees that have been dying ever since I was a a boy and are not yet dead. From the appearance of the tree you would expect nothing but lichens to drop from it, but underneath your faith is rewarded by finding the ground strewn with spirited fruit. Frequented only by the wood pecker, deserted now by the framer, who has not faith enough to look under the boughs. Food for walkers. Sometimes apples red inside, perfused with a beautiful blush, faery food, too beautiful to eat, — apple of the evening sky, of the Hesperides. He explains to us that the etymology of "to saunter," which means to roam about leisurely, stems from the knights who went "to the Holy Land" which in French would be "à la Sainte Terre". Thoreau walked to and through his Holy Land around Concord, not like a knight errant, but as he calls it, a "walker errant." [page 140] The chivalric and heroic spirit, which once belonged to the chevalier or rider only, seems now to reside in the walker. To represent the chivalric spirit we have no longer a knight, but a walker, errant. [page 143] I lose my friends, of course, as much by my own ill treatment and ill valuing of them, prophaning of them, cheapening of them, as by their cheapening of themselves, till at last, when I am prepared to [do] them justice, I am permitted to deal only with the memories of themselves, their ideals still surviving in me, no longer with their actual selves. [page 143] I would fain keep a journal which should contain those thoughts and impressions which I am most liable to forget that I have had; which would have in one sense the greatest remoteness, in another, the greatest nearness to me. [page 150] I have heard that there is a Society for the Diffusion of Useful Knowledge. It is said that knowledge is power and the like. Methinks there is equal need of a Society for the Diffusion of Useful Ignorance, for what is most of our boasted so-called knowledge but a conceit that we know something, which robs us of the advantage of our actual ignorance. For a man's ignorance sometimes is not only useful but beautiful, while his knowledge is oftentimes worse than useless, beside being ugly? In reference to important things, whose knowledge amounts to more than a consciousness of his ignorance? Yet what more refreshing and inspiring knowledge than this? [page 151] America is the she-wolf today, and the children of exhausted Europe exposed on her uninhabited and savage shores are the Romulus and Remus who, having derived new life and vigor from her breast, have founded a new Rome in the West. I might add that the operational word is "new" in "new Rome." America has in the world today a status comparable to Rome's status at the height of its empire. People all over the world are influenced by American products, American culture, American speech, and by American freedom. What Rome was to empire-building in its time, America is to freedom-building today. [page 376] A man must generally get away some hundreds or thousands of miles from home before he can be said to begin his travels. Why not begin his travel at home? Yes, even in his day, travelers were those went off to faraway places and returned home to perform a donkey serenade of their travels to any and all who could stand the braying. Thoreau, while being less than kind to that ilk, gives this specification for a traveler. [page 376] How often it happens that the traveller's principal distinction is that he is one who knows less about a country than a native! Now if he should begin with all the knowledge of a native, and add thereto the knowledge of a traveller, both natives and foreigners would be obliged to read his book; and the world would be absolutely benefited. It takes a man of genius to travel in his own country, in his native village; to make any progress between his door and his gate. And now my favorite part of the book, his walk in the woods at night. In this passage, he describes the "moon's war with the clouds." [page 383, 384] The traveller's whole employment is to calculate what cloud will obscure the moon and what she will triumph over. In the after-midnight hours the traveller's sole companion is the moon. All his thoughts are centered in her. She is waging continual war with the clouds in his behalf. What cloud will enter the lists with her next, this employs his thoughts; and when she enters on a clear field of great extent in the heavens, and shines unobstructedly, he is glad. Here's another passage where he speaks of his ambivalence towards his friends. [page 392] And why should I speak to my friends? for how rarely is it that I am I; and are they, then, they? We will meet, then, far away. And another in praise of wild apples. [page 396] I detected a wild apple on the Marlborough road by its fragrance, in the thick woods; small stems, four inches in diameter, falling over or leaning like rays on every side; a clean white fruit, the ripest yellowish, a pleasant acid. The fruit covered the ground. It is unusual to meet with an early apple thus wild in the thickest woods. It seemed admirable to me. One of the noblest fruits. With green specks under its skin. In this final passage Thoreau describes himself as the Norway cinquefoil (Potentilla Norvegica), a five petalled flower which, in dying, folds its petalled arms over its seeds to protect them for the future generation. As it begins the flower is talking about herself. [page 430, 431] "Not even when I have blossomed, and have lost my painted petals and am preparing to die down to my root, do I forget to fall with my arms around my babe, faithful to the last, that the infant maybe found preserved in the arms of the frozen mother." That thus all the Norway cinquefoils in the world had curled back their calyx leaves, their warm cloaks, when now their flowering season was past, over their progeny, from the time they were created! There is one door closed, of the closing year. Nature ordered this bending back of the calyx leaves, and every year since this plant was created her order has been faithfully obeyed, and this plant acts not an obscure, but essential, part in the revolution of the seasons. I am not ashamed to be a contemporary with the Norway cinquefoil. May I perform my part as well! 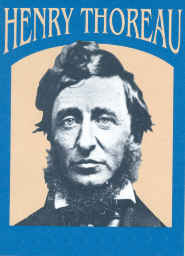 Surely no one today could live as Thoreau did some 150 years ago, one is apt to think, but one would be wrong. Nature has changed in those years, but she has not disappeared, if one will watch for her and attend her performances like Thoreau did in his time, in his own backyard. [page 472] My profession is to be always on the alert to find God in nature, to know his lurking places, to attend all the oratorios, the operas, in nature.